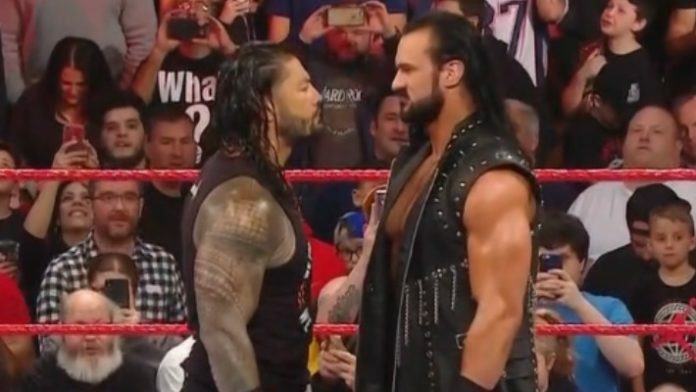 Roman Reigns vs. Drew McIntyre has been announced for WWE WrestleMania 35. The program dates back to a six-man tag team match at the Fastlane pay-per-view event and then moving along, McIntyre recently attacked Reigns before his first match on television in months. During Monday’s episode of RAW, Reigns accepted McIntyre’s WrestleMania challenge before a brawl broke out.